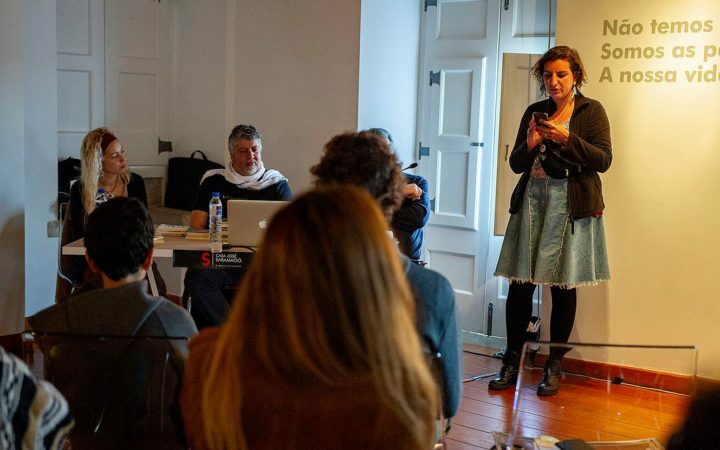 The writer Begoña Callejón has been officially selected for the first literary residency in Óbidos for a Granada author. 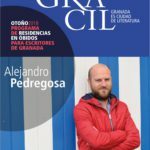 This residency will take place throughout the month of April 2018 and is part of a joint project between Granada UNESCO City of Literature and Óbidos Literary City with the aim to promote the internationalization and exchange of our respective writers. 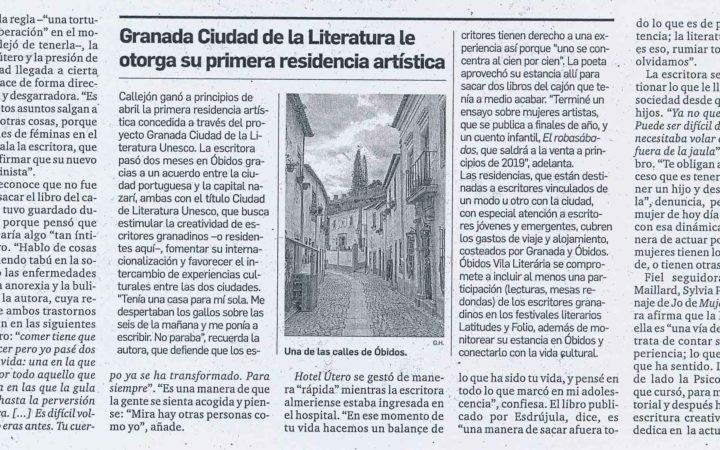 This year the project’s first initiative will be two one-month literary residencies in Óbidos during the months of April and October. Begoña Callejón (Almería, 1976) resides in Granada. In addition to being a poet and narrator, she holds a degree in psychology. In 2010 she received the Millenium Scholarship for artistic creation, the Alcalá del Jucar residency. Her poems have appeared in anthologies such as La anthología del beso (2009), Nueva poetry y narrativa hispanoamericana del siglo XXI (2009), Y para qué más poetas (2010), Mujeres que aman a mujeres (2012), and Sangrantes (2013). She has published the following books of poetry, Suicidio de libélulas (2006), Extraña claridad (2007), Palabras para un cuerpo de ceniza (2007), Las putas toman sushi (2009), Cenicienta en sangre (2010), Locos de Altar, together with Leopoldo María Panero and Rubén Martín (2010), La camada feroz (2012), Los pájaros dibujaban en mis ojos (2012), Cuando llegan las abejas (2012), El hospital de las muñecas (2015) and Horas hermosas para teñirlas de rojo (2015). 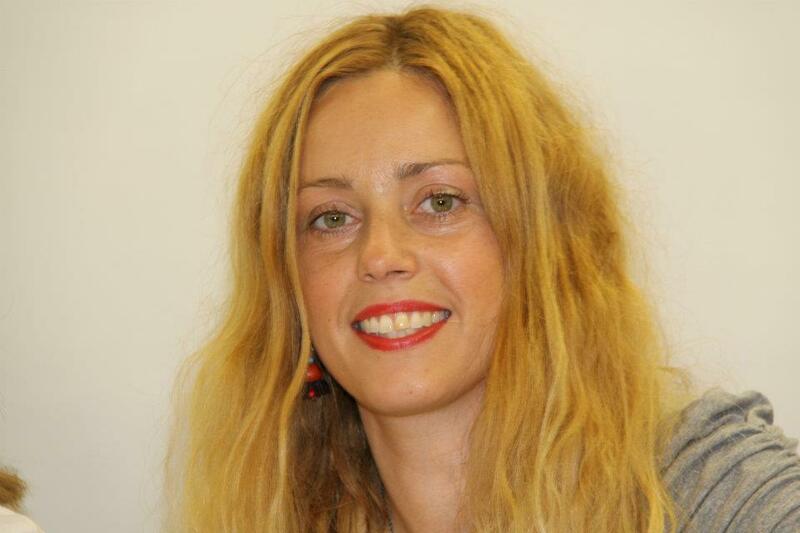 In 2018 she published the poem Hotel Útero with the Granada publisher Esdrújula. Begoña Callejón, sitting on the left, during her participation at LATITUDES Festival. 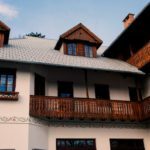 Very content with the treatment she received (“The hospitality was wonderful”), Begoña Callejón recounted her residency experience in Óbidos very positively. “I had a house to myself. I was awakened by the roosters around six in the morning and started writing; I didn’t stop,” she said in an interview (Granada Hoy, 06-16-2018). During her residency, Begoña Callejón worked on a children’s story, El robasábanas, an essay about women artists, and on a poetry collection, El naufragio de las esquirlas. 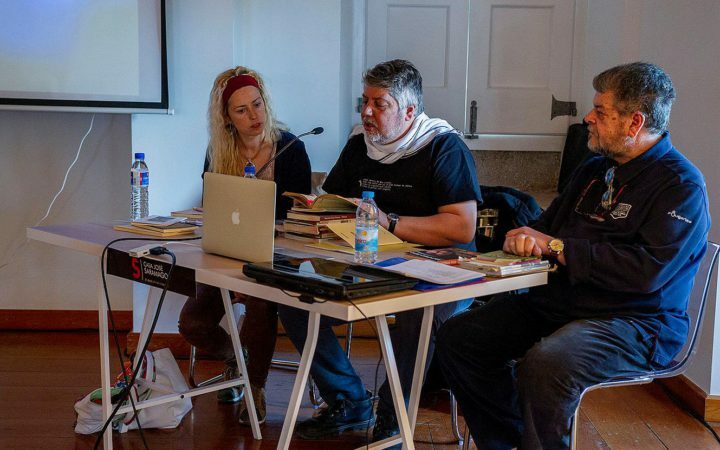 She had the opportunity to connect with the Portuguese literary scene through her participation in the literary festival LATITUDES, during a round table held on April 27 under the title “Poetry of travel,” coordinated by the writers Pedro Mota and Carlos Feio.